Thats where Acne Ultra Clear* comes in. 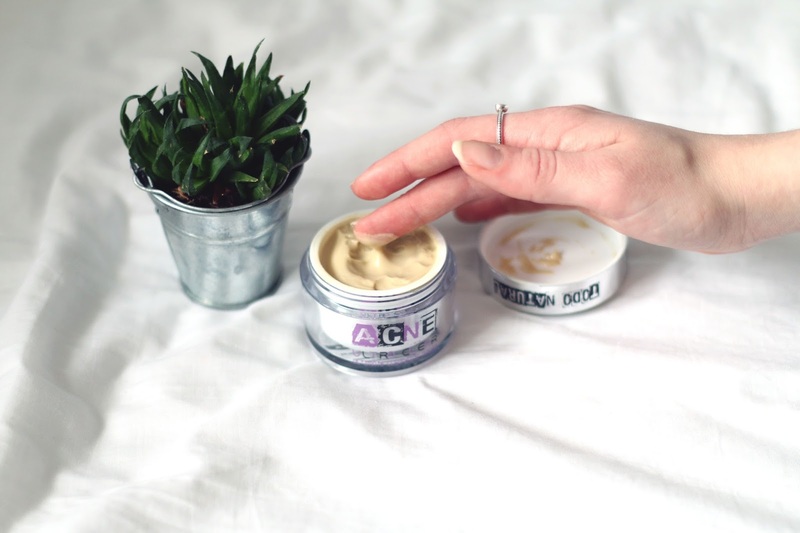 This cream can be used in the same way as you’d use your ordinary moisturiser. Its primarily an acne treatment, so if you do suffer with acne this might be something you want to try out. 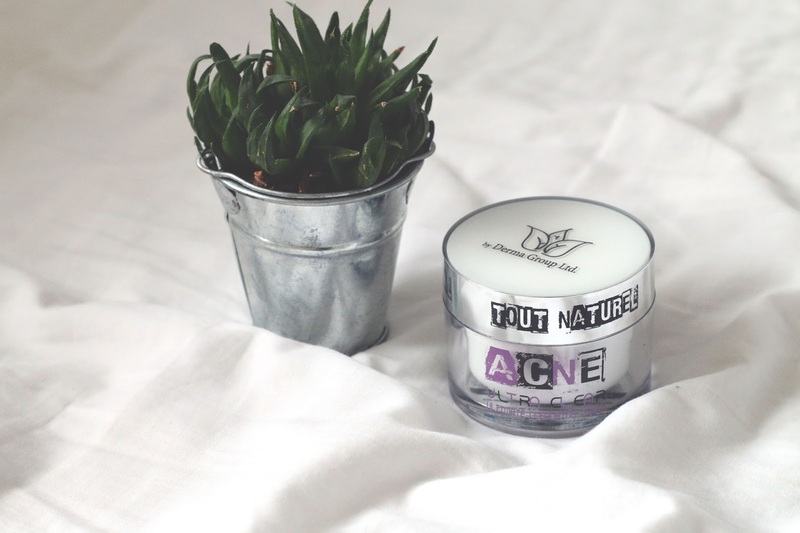 However it can work for those who don’t suffer with acne and get those annoying breakouts or the odd spot. It also helps to reduce skin redness and spot visibility. The brilliant thing about this product is it contains 100% natural ingredients, such as coconut oil, beeswax, pot marigold and more. So onto what I actually think of this cream. Well I think its really lovely. As you can see its a bit of an odd colour, sort of beige which is different to other creams which are white. The only slight issue I have with this is the smell, I mean it smells organic (if thats even a thing). It smells quite earthy and not very appealing. However if you’re not a fan of heavily fragranced products you may like this. You don’t need much of this as it goes a long way, so with a 50ml pot this will last you a long time. The good thing about this is I’ve actually seen results. Some people have seen results within as little as 7 days. I have a few small spots on my cheeks and redness/scarring from previous breakouts and I feel as though its faded those scars and cleared up a little bit of that redness. Nothing drastic but I can actually see something. I’m very impressed and I feel its kept spots at bay, as I haven’t got a single blemish since using it. I’ll be continuing to use this and it may pop up in a favourites post you never know! I also have a 10% off discount code for you all which you can claim here.